State by state, more guns mean more killing of women. Homicide-wise, gun-ownership rates impact women more than men. A new study from Boston University has found a strong correlation between a state’s rate of gun ownership and its rate of women murdered by people they know. The article, soon to be published in Violence and Gender, stands to combat claims from conservatives that guns make women safer. In fact, relaxing gun laws may have dire implications for domestic violence. Authors Michael Siegel and Emily Rothman studied firearm ownership rates and how they compared with gun-related homicides of both men and women, committed by both strangers and nonstrangers, from 1981 to 2013. After controlling for age, race, region, poverty, unemployment, education, divorce rate, alcohol use, and a number of other potentially extenuating factors, they found that higher levels of gun ownership corresponded to higher rates of women being killed by people they know, but not by strangers. The data suggest that a state’s high gun-ownership rate has greater consequences for the killing of women than the killing of men. 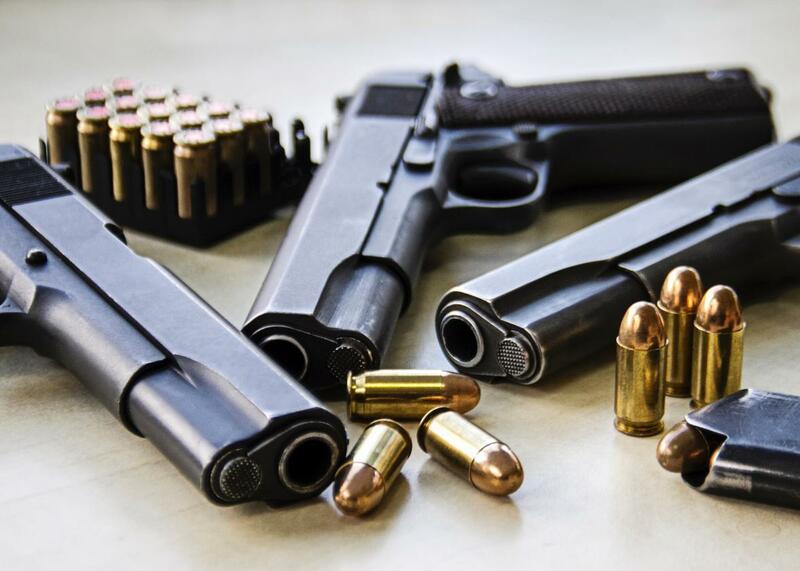 When they controlled for all other factors, the study’s authors found that firearm-ownership rates accounted for 41 percent of the difference in states’ rates of femicide, and only 1.5 percent of the difference in rates of firearm-related killings of men. Other factors, such as demographic differences between the states, accounted for the other 59 percent of the femicide discrepancies. “This means that the rate of female non-stranger homicide in a state can be predicted well simply by using the prevalence of firearm ownership in that state,” the authors write. Researchers have known for years that more guns means more gun-related deaths, especially for women. A 2002 Harvard University study found that states with lots of guns have higher rates of women dying of suicide, homicide, or firearm-related accidents. But Siegel and Rothman’s findings hold particular import for policymakers concerned with domestic violence. Ninety-three percent of women killed by men know the person who killed them, and it’s usually a current or former intimate partner. Just having a gun in the home makes an incidence of domestic violence five times more likely to lead to murder. And although convicted domestic abusers cannot purchase guns, in many cases, they get to keep the ones they already own. There are few data-driven proposals for reducing domestic violence and femicide as straightforward as this one: Get rid of the guns that are killing women.